Please see full biographies, below. Sean C. Rhudy is the President of Enhanced Computing Solutions and Managing Partner of Atlantic Telecom Group. Over the last 10 years in business, Sean has won the Image Award from the local Chamber of Commerce as well as the SmartCEO Voltage award and has been featured in the Baltimore Business Journal. In addition to Sean’s commitment to business, he also has a commitment to give back to the community and is proud to serve on the Board of Director’s of Spectrum Support. Robert Holt, former Spectrum Board President, is also President of Baltimore Credit & Collection Services, Inc., a commercial collection agency which he founded in 1997. He is married with two daughters, including a 15-year-old with Autism. He is active in the local Special Needs community, including the Carroll County Special Education Citizens Advisory Council, the FOCAS Autism Support Group, and a team leader for the annual Autism Speaks Walk and 5K. He also serves on the Board of Caring Communities. He is an avid runner and biker, and has attended Orioles baseball and Terps football games for many years. Mr. Holt is a veteran of the United States Air Force. Stephen (Steve) Brannan has a BS in Finance and an MBA from the University of Maryland. Steve has held numerous positions for IBM and IBM Global Financing over the past 25 years. He is currently a Team Leader in the leasing division of IBM. Steve is also a House Corporation President and financial advisor for a University of Maryland fraternity. Allen is also President of Atlantic Telecom, a provider of business telephone systems and support services in Parkville, MD. He has been active in the local business community for over 20 years. He is the proud father of a 15 year old son with Autism. He has also served on the Carroll County Special Olympics Fundraising Committee. He is graduate of the University of Maryland, Baltimore County. Mr. Keller is a competition clay target shooter and enjoys playing tennis in his spare time. John holds Bachelor’s degrees in Sociology and Information Systems from University of Maryland Baltimore County (UMBC). John has worked as an IT Consultant supporting multiple federal agencies for the past 16 years. John currently supports a large software development program for a federal client in Alexandria, VA. John has a wife and 2 young children, ages 11 and 13.
illness—their own or that of a loved one, bereavement support, deep process inner spiritual exploration, Samyama (a form of mindfulness meditation), as well as other body/mind/spirit resources. Dena specializes in working with clients and students via phone sessions. Dena has a passion for volunteering with Vets Journey Home. She began staffing healing weekends for veterans in 1999. Larry graduated from Calvert Hall College High School in 1958. He worked in the construction industry from 1958 until retirement in 2005. In that space of time, he started Carroll Insulation in 1970 and helped form National Contracting Resources and United Subcontractors, Inc. He was elected National President of Insulation Contractors Association of American in 1985 and 1998. 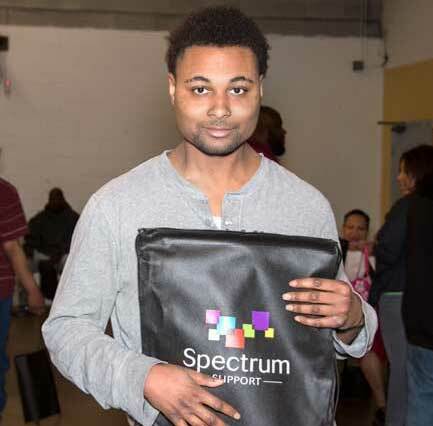 Larry has served on many boards prior to beginning his work with Spectrum Support. Among those are Home Builders Association of Maryland, Insulation Contractors Association of America, South Carroll Business Association, Maryland GOP and Sykesville Rotary.